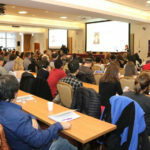 Read the latest news from Northwestern University Feinberg School of Medicine’s Mesulam Center for Cognitive Neurology and Alzheimer's Disease. The links below take you to articles where you can learn more about our members' latest achievements, awards and honors. 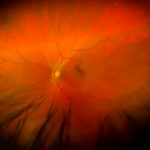 Reduced blood capillaries in the back of the eye may be a new, noninvasive way to diagnose early cognitive impairment, a precursor to Alzheimer’s disease. Northwestern University Neuropsychologist Dr. Sandra Weintraub joins John Williams to address President Trump’s recent verbal gaffes, and what they mean about his neurological health. That’s in response to some of the public’s belief that these blunders are symptoms of such diseases as dementia or aphasia. More than 5 million Americans are living with Alzheimer’s disease, including 230,000 in Illinois. By 2050, that number is projected to rise to nearly 14 million Americans, according to the Alzheimer’s Association. There is no cure for the neurodegenerative condition, symptoms of which include memory loss, difficulty completing daily tasks and challenges in planning or solving problems. 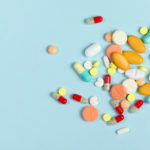 Many clinical trials are focused on prevention or disease-modifying therapies, which tend to exclude people who are already experiencing symptoms, says Northwestern University neurologist Dr. Ian Grant. While those types of therapies could eventually lead to a cure, Grant says it’s also important to study therapies that alleviate symptoms. The T2 Protect AD study seeks to do just that. Northwestern Medicine scientists have discovered that an existing therapy used to treat Alzheimer’s disease might also work on patients with Primary Progressive Aphasia, a type of dementia that destroys language and currently has no treatment. The Memory Ensemble, a collaboration between Darby Morhardt, PhD, of the Mesulam Center for Cognitive Neurology and Alzheimer's Disease, and Christine Dunford, PhD, a co-founder of the Lookingglass Theatre Company, was featured, highlighting the preliminary research published in Research in Drama Education: The Journal of Applied Theatre and Performance in June 2017. The 8th Annual Les Turner Symposium brought together investigators, clinicians, patients and families to share the latest discoveries in ALS research, promote scientific collaboration and provide patient education. 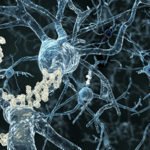 Northwestern University has received a $12.6 million grant from the National Institute on Aging at the National Institutes of Health (NIH) to study the role of protein quality control in human aging and neurodegenerative diseases such as Alzheimer’s disease. Intrigued by the potantial benefits, Dr. Borna Bonakdarpour, a neurologist with Northwestern University’s Feinberg School of Medicine, put together a music therapy study this spring at Silverado Orchard Park Memory Care Community in Morton Grove. Each week for 12 weeks, the Evanston-based nonprofit Institute for Therapy Through the Arts held concerts for 10 Silverado residents. The musicians are specially trained to apply their skills to therapy, often by interacting with patients during performances, and getting them to beat on drums, sing, and dance. The $84,000 program is funded by an anonymous donor. Feinberg met its goal of raising $10 million for the newly renamed Mesulam Cognitive Neurology and Alzheimer’s Disease Center, naming the Center after its director, M. Marsel Mesulam, MD. It’s pretty extraordinary for people in their 80s and 90s to keep the same sharp memory as someone several decades younger, so scientists are peeking into the brains of“superagers” who do to uncover their secret. The work is the flip side of the disappointing hunt for new drugs to fight or prevent Alzheimer’s disease. 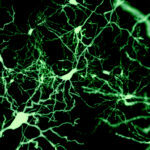 Instead of tackling that problem, “why don’t we figure out what it is we might need to do to maximize our memory?” said neuro­scientist Emily Rogalski, who leads the SuperAging study at Northwestern University in Chicago. WASHINGTON (AP) — It’s pretty extraordinary for people in their 80s and 90s to keep the same sharp memory as someone several decades younger, and now scientists are peeking into the brains of these “superagers” to uncover their secret. The work is the flip side of the disappointing hunt for new drugs to fight or prevent Alzheimer’s disease. Instead, “why don’t we figure out what it is we might need to do to maximize our memory?” said neuroscientist Emily Rogalski, who leads the SuperAging study at Northwestern University in Chicago. Dr. Darby Morhardt, professor at the Cognitive Neurology and Alzheimer's Disease Center at Northwestern University's Feinberg School of Medicine. 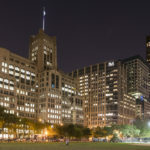 Phyllis Zee, a neurologist and neuroscientist at Northwestern University in Chicago, Illinois, says the research connects a lot of dots between sleep and memory. She’s curious whether the results will hold up in adults who are at risk for neurological conditions such as Alzheimer’s disease. For nine years, these experts have been examining “SuperAgers” — men and women over age 80 whose memories are as good — or better — than people 20 to 30 years younger. Every couple of years, the group fills out surveys about their lives and gets a battery of neuropsychological tests, brain scans and a neurological examination, among other evaluations. “When we started this project, we weren’t really sure we could find these individuals,” said Emily Rogalski, an associate professor at the Cognitive Neurology and Alzheimer’s Disease Center at Northwestern’s Feinberg School of Medicine. "This is one of the first clear-cut genetic mutations in human beings that acts upon aging and aging-related disease," Dr. Douglas Vaughan told Newsweek. Vaughan is a cardiologist at Northwestern University Feinberg School of Medicine and one of the lead authors of the study, which was published in Science Advances on Wednesday. SERPINE1 makes a protein called plasminogen activator inhibitor-1, or PAI-1, which may play a role in diabetes and Alzheimer's, he noted. Margaret and Mark Zumdahl have made countless memories during their 25-year marriage, but Margaret, who lives with Alzheimer’s, is slowly starting to lose those memories. Thanks to a special program at Northwestern's Cognitive Neurology and Alzheimer's Disease Center, the couple is receiving help to deal with the disease. 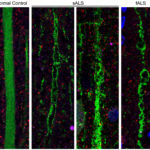 A study has identified a new mechanism for how a gene mutation leads to the death of neurons in amyotrophic lateral sclerosis and a related form of dementia. A new study shows that a neurodegenerative syndrome in older adults, frontotemporal dementia, shares several fundamental features with another neurodegenerative disease usually seen in children. 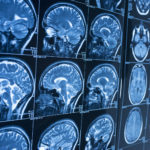 According to a new study, normal agers lost volume in the cortex, which contains neurons, twice as fast as SuperAgers, a rare group of older people whose memories are as sharp as those decades younger. 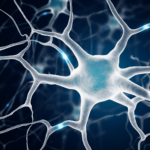 A new review, published in Nature Reviews Neurology, outlines how upper motor neuron degeneration is an important feature in ALS pathology, and could be key to developing better diagnostic tools and treatments for ALS. 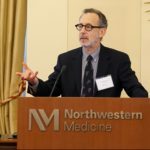 “Truly, Northwestern University Feinberg School of Medicine is an institution on the rise,” said Eric G. Neilson, MD, vice president for Medical Affairs and Lewis Landsberg Dean. See some of the medical school's notable moments from 2016. Some older people who have signs of Alzheimer's disease in their brains may actually have pretty good memories, a small new study suggests. 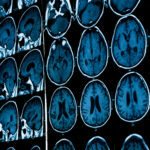 The results suggest that some individuals with Alzheimer's disease may be protected against some of its symptoms, like memory problems, said lead study author Changiz Geula, a professor of cognitive neurology at Northwestern University Feinberg School of Medicine in Chicago, Illinois. “It appears that some elderly individuals are immune to the effects of Alzheimer’s pathology,” said neurologist Changiz Geula, of Northwestern University Feinberg School of Medicine, who presented the findings Tuesday at the annual meeting of the Society for Neuroscience in San Diego. The National Institute on Aging has renewed funding for the Cognitive Neurology and Alzheimer’s Disease Center, supporting an additional five years of research, and marking 25 years of continuous grant support. Can you keep the love light shining after your partner’s brain has begun to dim? Just ask Denise Tompkins of Naperville, Ill., married 36 years to John, now 69, who has Alzheimer’s disease. The Tompkinses participated in an unusual eight-week storytelling workshop at Northwestern University that is helping to keep the spark of love alive in couples coping with the challenges of encroaching dementia. Every week participants are given a specific assignment to write a brief story about events in their lives that they then share with others in the group. The program culminates with a moving, often funny, 20-minute written story read alternately by the partners in each couple in front of an audience. The storytelling workshop, which started in January of 2014, was the brainchild of Lauren Dowden, then an intern in social work at Northwestern’s Cognitive, Neurological and Alzheimer’s Disease Center. The race to find a cure or prevention for Alzheimer's disease is happening all around the world, but there's a lot of hope riding on two studies being conducted in Chicago at Northwestern Medicine’s Cognitive Neurology and Alzheimer's Disease Center. One of them is a clinical trial of a drug that's being called potentially revolutionary. While it may still be years before its efficacy is known, researchers are cautiously optimistic that it could be a turning point in the fight against dementia.